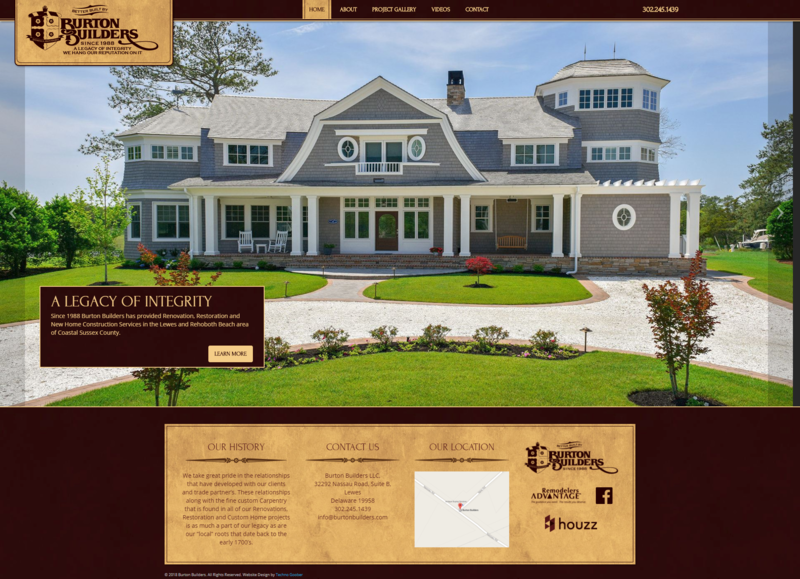 A beautiful custom website with custom branding elements throughout for this home builder. Design a custom website utilizing the client's existing branding to create a one-of-a-kind site. Our designer worked long and hard to ensure that this website was exactly what the client imagined. This site includes a variety of photo galleries for displaying the client's work and video tours of their custom homes.